Summary: Continuing the dry warm weather. 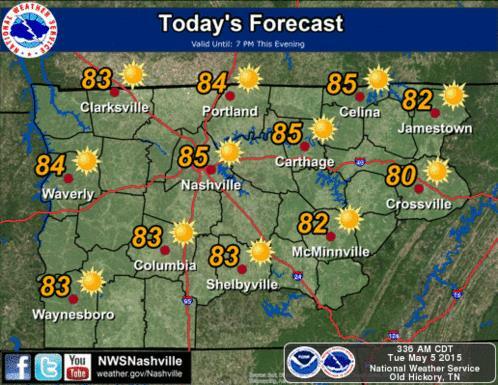 Today, we will see our high temp reach about 83 degrees under sunny skies. Winds will be out of the south at 5 to 10 mph. Tonight, temperatures will fall to about 57 degrees under mostly clear skies and winds calming. Wednesday will be a repeat as well. Our high will be about 82 degrees under mostly sunny skies. 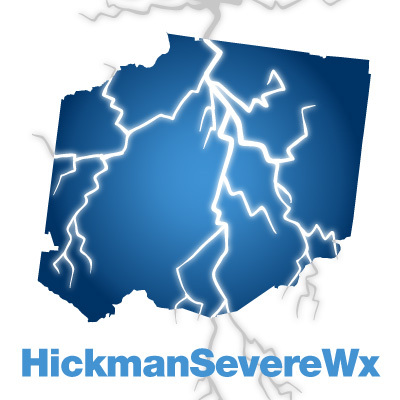 There is a chance of rain for those on the Cumberland Plateau, but we don’t expect that to reach us here in Hickman County. Wednesday night, temps will fall to a mild 59 degrees under partly cloudy skies. Our next chance of rain. Since I’m starting to sound like a broken record, when will we see our next chance of rain? It appears we may see some rain chances start to creep back into the forecast come late Saturday, Sunday, and Monday. 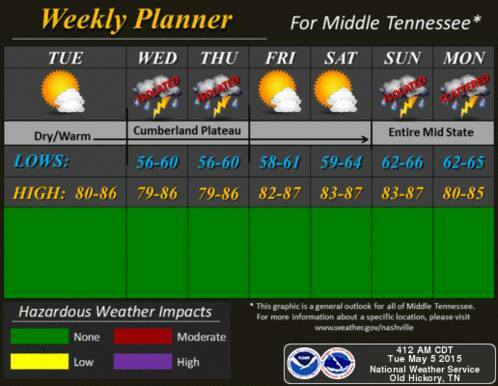 Until then, expect every day this week to be pretty much the exact same in terms of weather and temperatures.